Recharge your batteries, enjoy pure relaxation, treat your body and soul to a luxurious experience on board Sunreef Yachts catamarans. 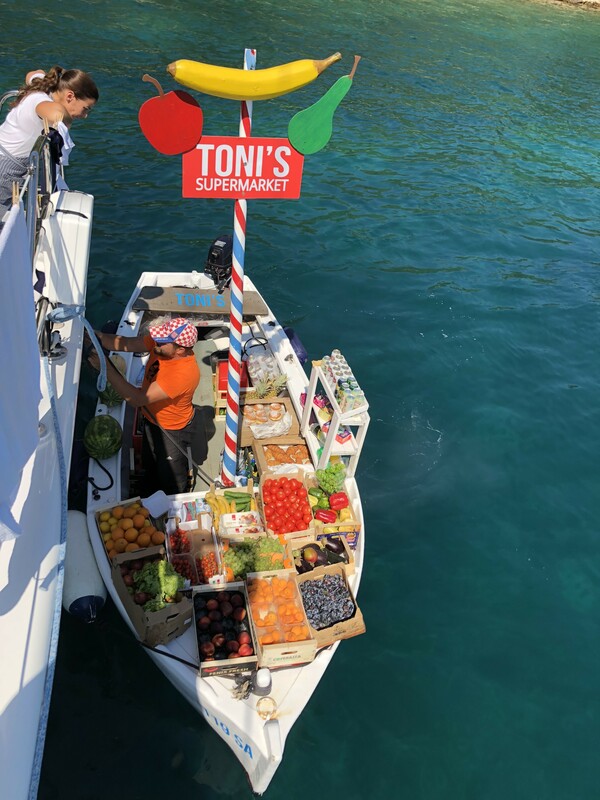 Your customized charter will offer healthy local produce, abundance of freshly picked fruit and vegetables, soothing massage therapies, relaxing yoga and meditation sessions upon request, as well as any water and onboard activities which will help you to maintain a healthy and fit lifestyle. Can the food be both healthy and tasty? It can, and it should be! Chef Natalia of Sunreef 74 Calmao recommends starting a day with strawberry, blueberry, banana and almond milk smoothies, as well as luscious freshly made juice made of oranges delivered straight from a local plantation. Are your kids junk food lovers? Our dedicated Chefs will take up the challenge and treat them to a real feast of freshly prepared nutritious meals and snacks, such as coconut and butternut squash soup, quinoa risotto with vegetables, deliciously looking grilled prawn brochettes, colourful salads and fruit plates, which will not leave them indifferent. 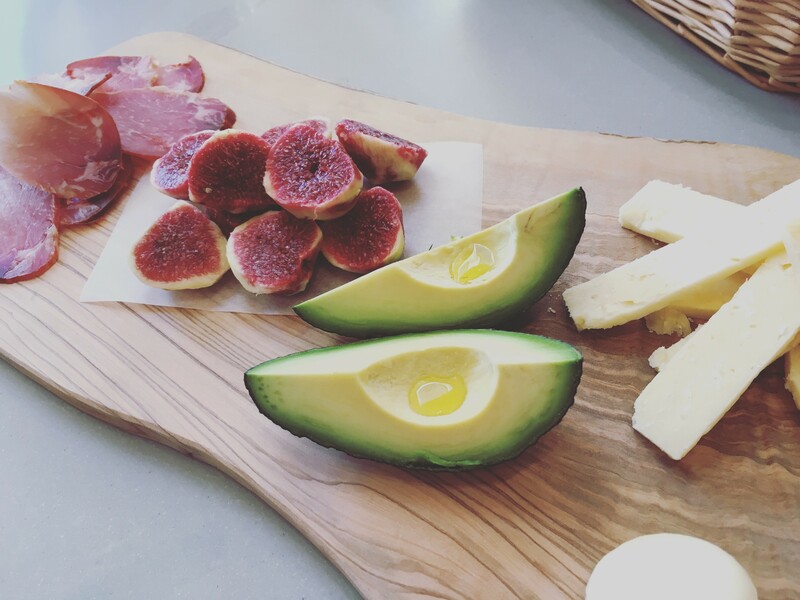 Sourcing the best seasonal produce, including freshly caught fish, from nearby markets, regional farms and local fishermen, our passionate chefs aim at providing their guests with a truly magnificent culinary experience. Meditation is a journey within. Just imagine sitting comfortably with your eyes closed, freeing yourself of all troubles of everyday routine, relaxing your body and mind. The feeling of a warm sea breeze, the smell of salty water and the sound of crashing waves will help you plunge into the world of relaxation and wellness. Sunreef 60 Samadhi is a perfect example of a luxury charter yacht which was built not only for fantastic sea journeys in the most desirable destinations of the globe, but also for spiritual journeys within. The yacht’s name itself signifies a unity of all aspects of being – physical, spiritual, mental and emotional. Once combined with yoga and meditation sessions, she truly is an ideal place for indulging in the state of self-discovery and investigation. What can be better for the total relaxation than a great massage? 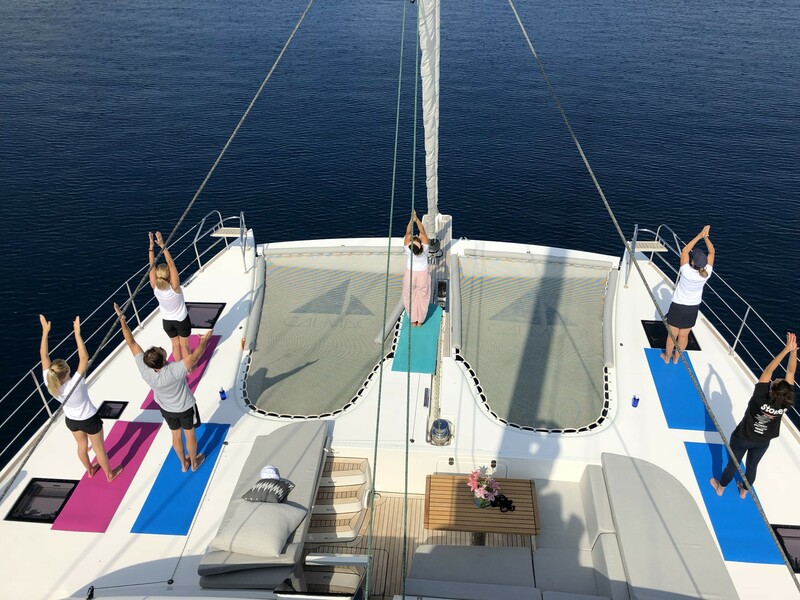 Providing the utmost of comfort for charter guests, Sunreef luxury catamaran Lucy Z offers Thai Chiropractic therapy and the Chinese “Tampo Pressure” massage, having her own highly qualified massage therapist in the crew. As a natural health practice, massage therapy is a pleasant mix of repose, wellness and rejuvenation. If you are a travelling yogi, you can always find a space for solitude on the boat. It’s a real bliss to practice your favourite asanas at a fascinating sunrise or sunset over the sea. If you’re looking for a new challenge, yoga on a stand-up paddleboard (SUP yoga) can be an exciting experience. Use all your breath and balance skills or it can end up with a refreshing splash in the water. If you never stop exercising and can’t imagine your life without training, TRX (suspension training kit) will help you to stay fit on board. Get benefits of this space effective suspension trainer and perform hundreds of functional exercises without attending a gym. Efficient, refreshing and fun water aerobics can be a great alternative to traditional exercises. Сhoose your favourite water sports and get to the peak of wellness while having fun with water activities. This entry was posted in Uncategorized by sunreef yachts charter. Bookmark the permalink.